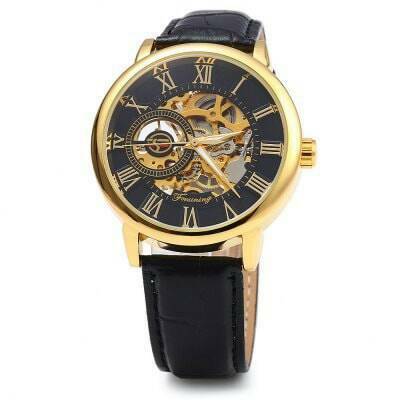 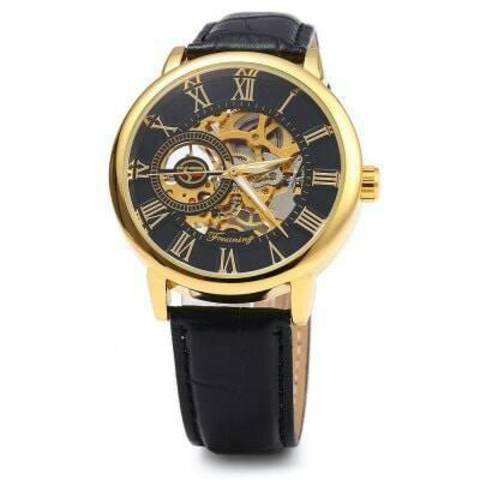 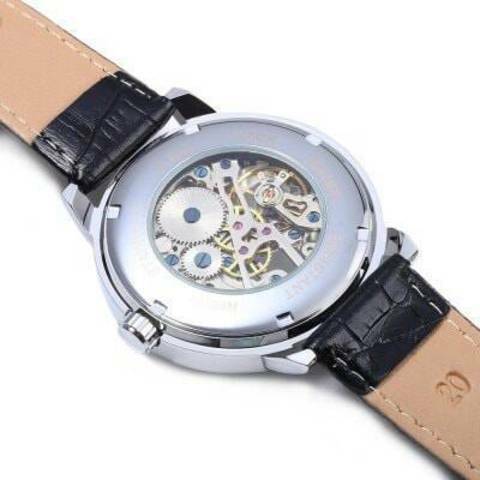 ● Mechanical movement, gives you precise time, need no battery and environmentally friendly. 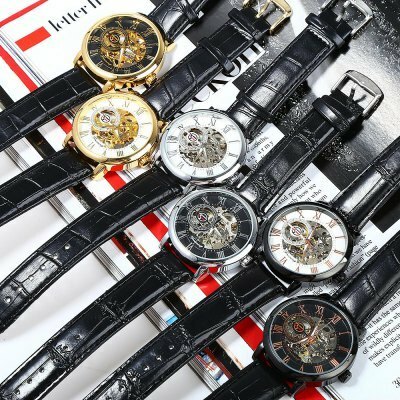 ● Hollow Out dial design reveals your fashionable point of view. 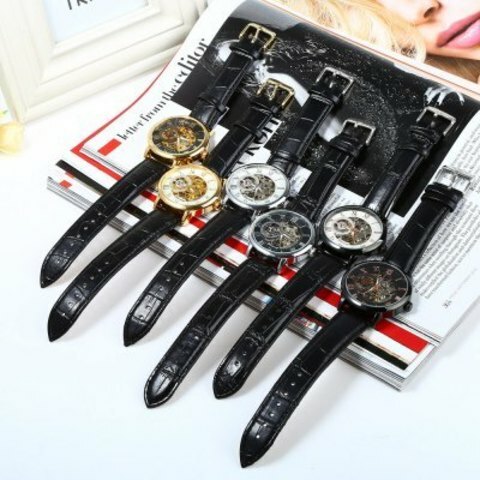 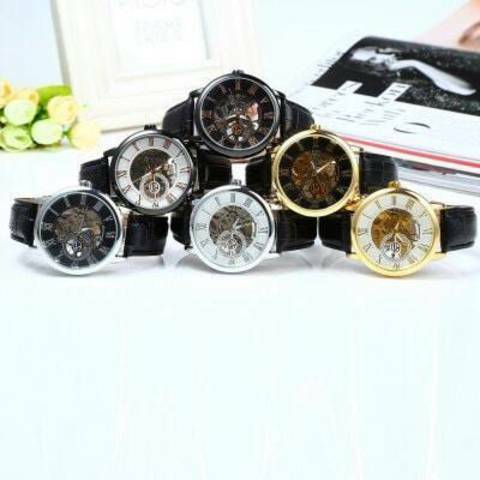 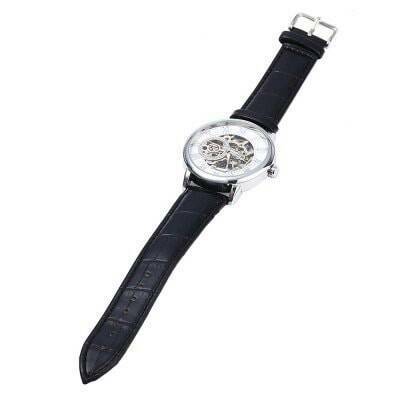 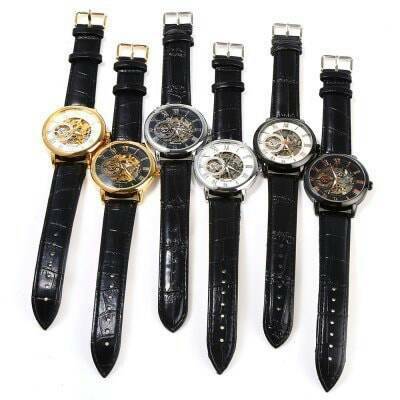 ● Stainless steel watch case makes the watch more durable. 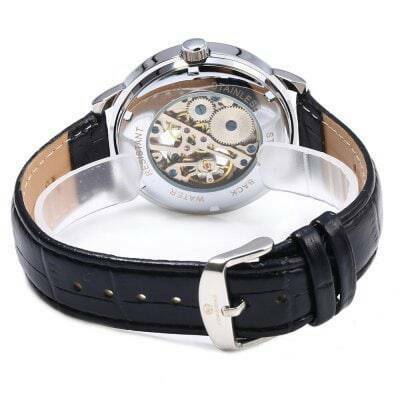 ● High quality leather band gives you a new classic definition. ● Life water resistance, protect your watch from splash and rain. ● Classic pin buckle, easy to adjust length and not easy to fall off. 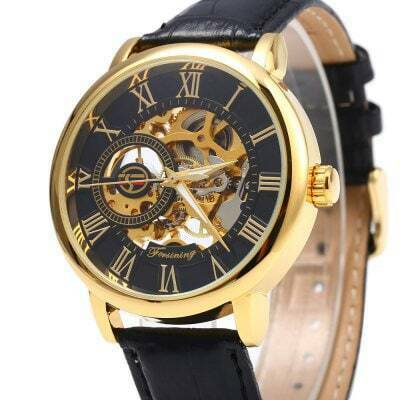 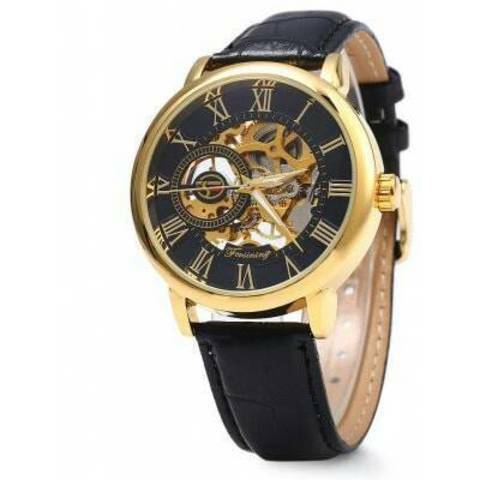 ● Amazing looking watch, good present for friends.